Warning! Variegated cutworm has been found just east of Mauston. This pest can move in and multiply very fast. The Variegated cutworm will attack most crops grown in our area. Please check your fields now, corn, soybeans, wheat, alfalfa, pasture, etc. 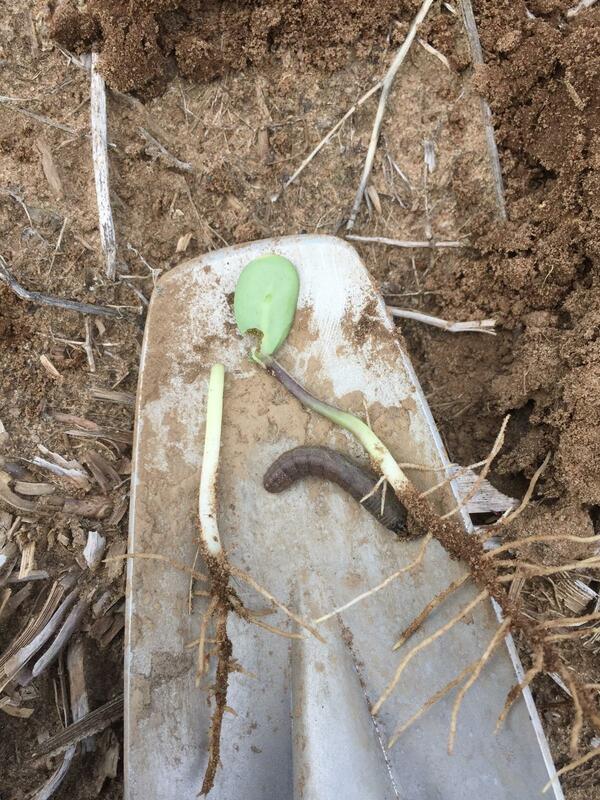 Please look at the fact sheets (links below) and the picture that intern Allen Herritz and agronomist Austin Bohm found today in a soybean field. (Photo by Allen Herritz). Let us know if we can help you look for this pest.